Social media has evolved from a place to share content to a place to consume content. Networking behaviors are becoming more orientated around fulfilling activities that have traditionally lain outside of the social media arena. One of the biggest transitions seen is the spread of news content across social networks. Globally, half of internet users say that keeping up with news and current events is a very important reason for using the internet. This figure has remained steady over the past few years, but it’s clear that an increasing share of these people are heading to social to get the news updates they want. Over the past two years alone, the numbers keeping up with news and current events via social has risen from 37% to 41%. This is a trend that holds true across the world regions. 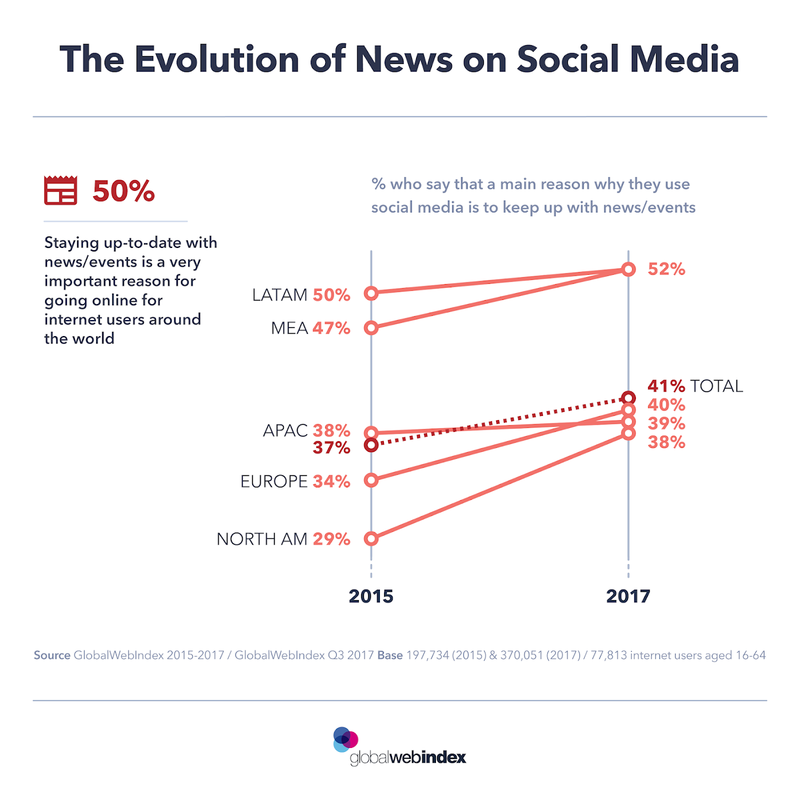 North America and Europe are especially driving this and in the former there’s been a 9 percentage-point increase in the numbers using social for news updates. In the Middle East & Africa, pretty much everyone who is looking for news content online (54%) is using social to do so (47%).